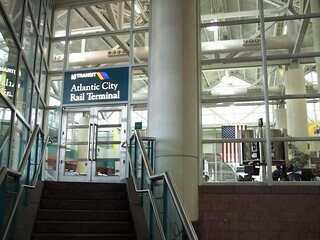 The Atlantic City Rail Terminal is a modern facility that is part of the convention center. 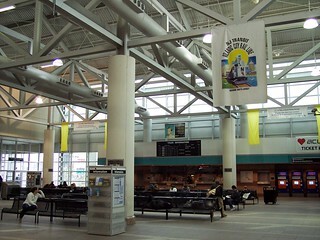 The terminal entrance is above. 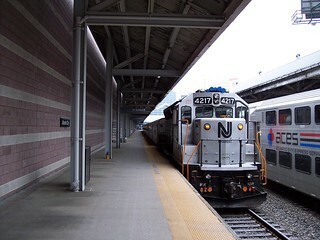 We began our ride on the Atlantic City Line in Atlantic City on what turned out to be a very snowy day. 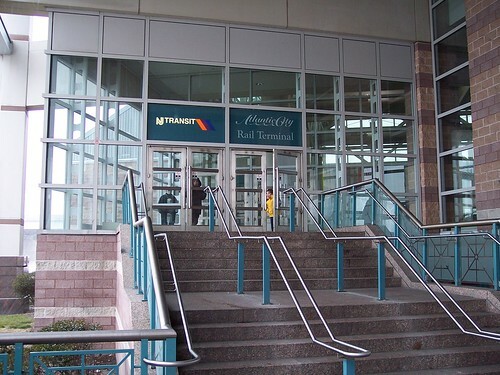 The entrance from the convention center and the inside of the terminal. On the left, our train to Philadelphia waits to depart. The ACES express train from New York is parked next to us. On the right, we look across the platforms just as it begins to snow. 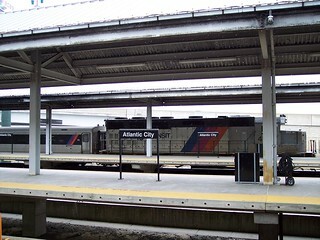 Atlantic City is one of the few stations where passengers aren't allowed on the platform until the train begins boarding. 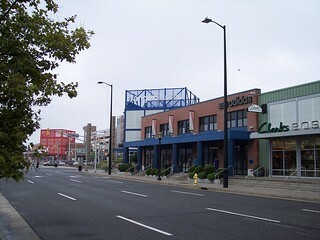 Before the convention center was built the station was a few blocks closer to the beach at this location.